Dealing with Parallel processes. 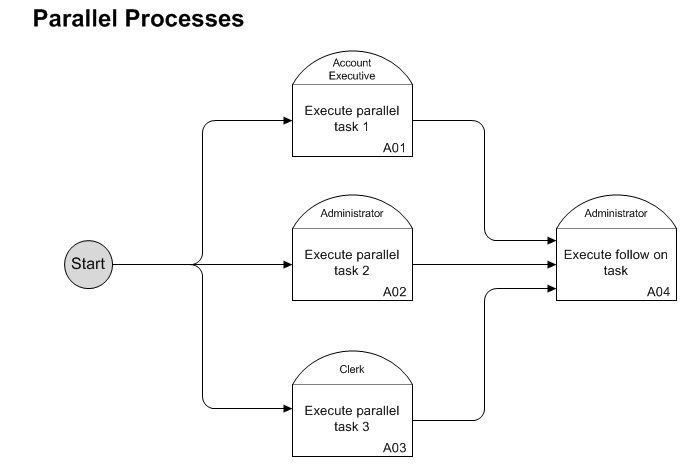 One of most difficult concepts for those new to process mapping is how to represent a parallel process. 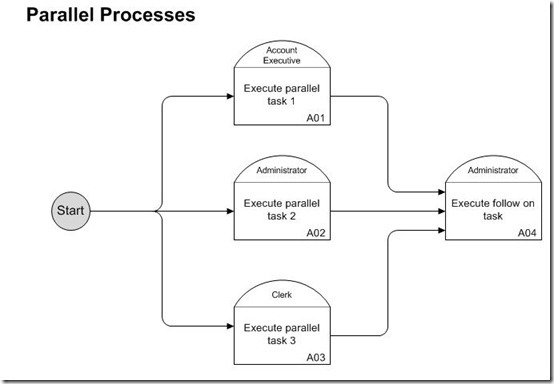 The diagram below shows one good way to represent these parallel and interdependent tasks.